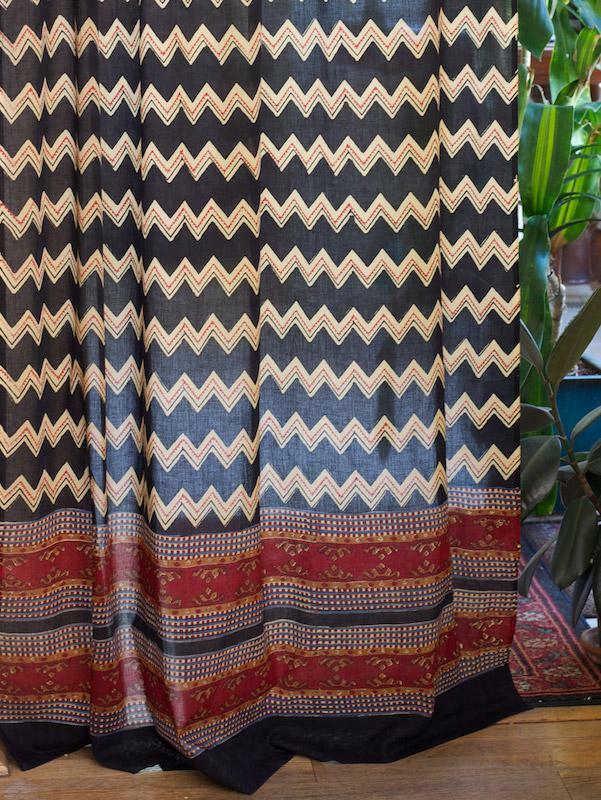 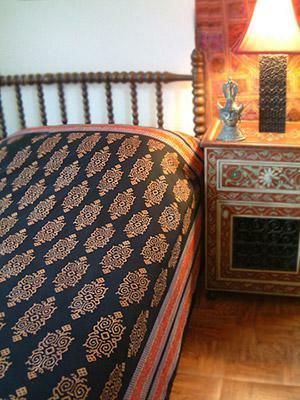 A striking, tribal inspired creamy zigzag print set against a deep black ground. 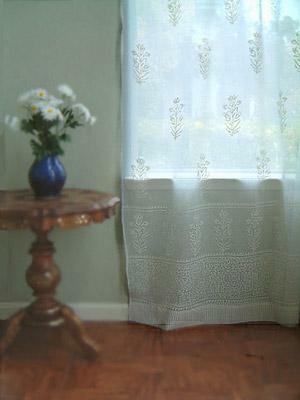 These unique decorative tab top cotton voile sheer curtain panels are the perfect accent ... [ read more ] for a stylish yet relaxed living room, country cottage, bedroom, kitchen or bathroom window. 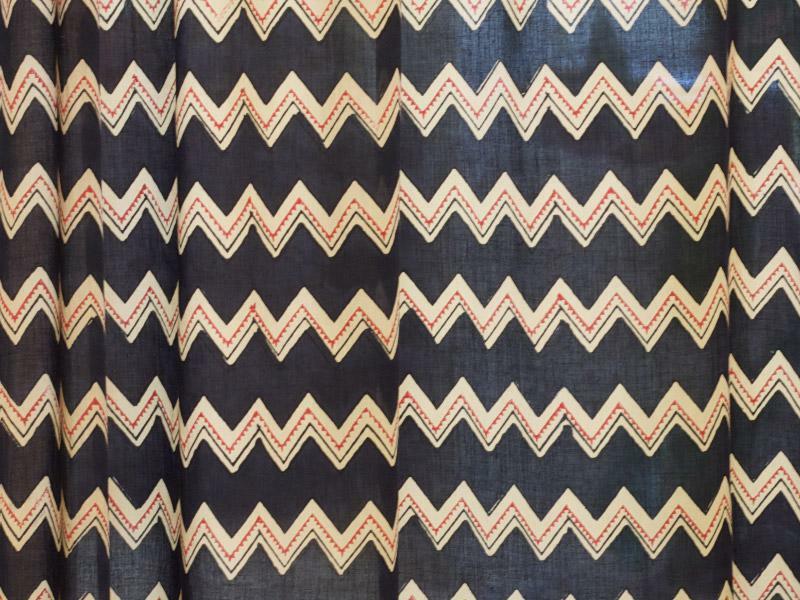 This tab top curtain is printed on voile; a soft, light, gossamer cotton weave, with wonderful light filtering properties that incredibly, also provides much needed privacy. 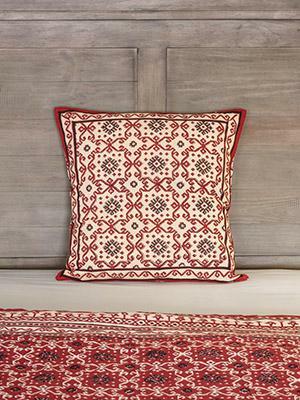 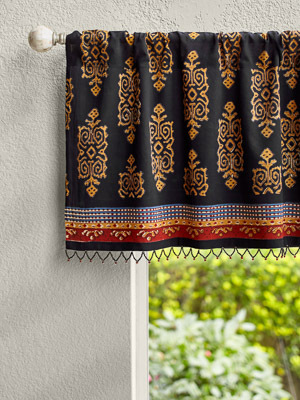 Each curtain is printed on preshrunk, superior grade, soft cotton voile and is exquisitely finished with 5, 4-inch tabs on the top for easy hanging. 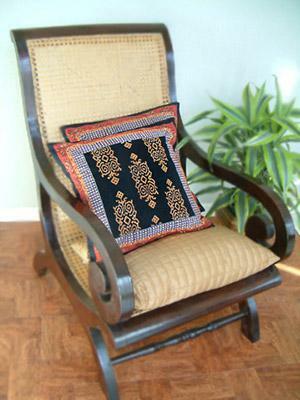 The tab tops can also be used as rod pockets, in which case the length is reduced by 4 inches. 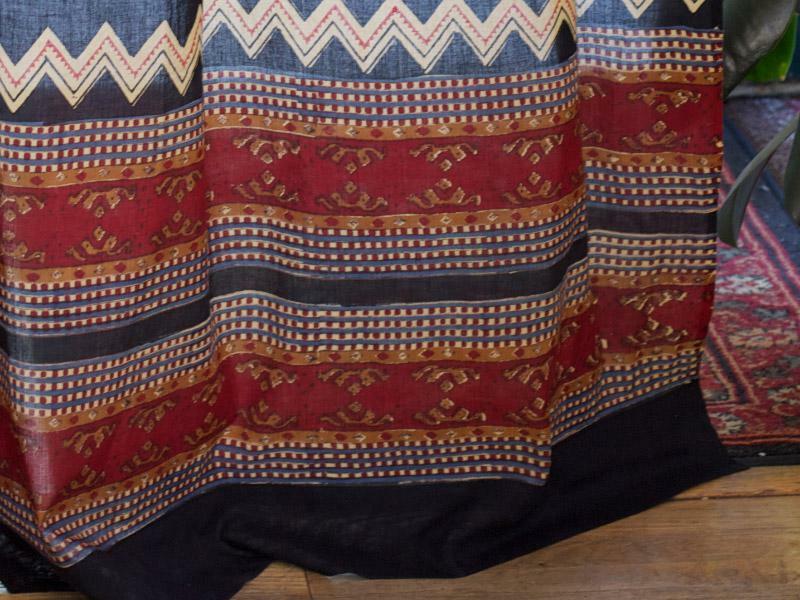 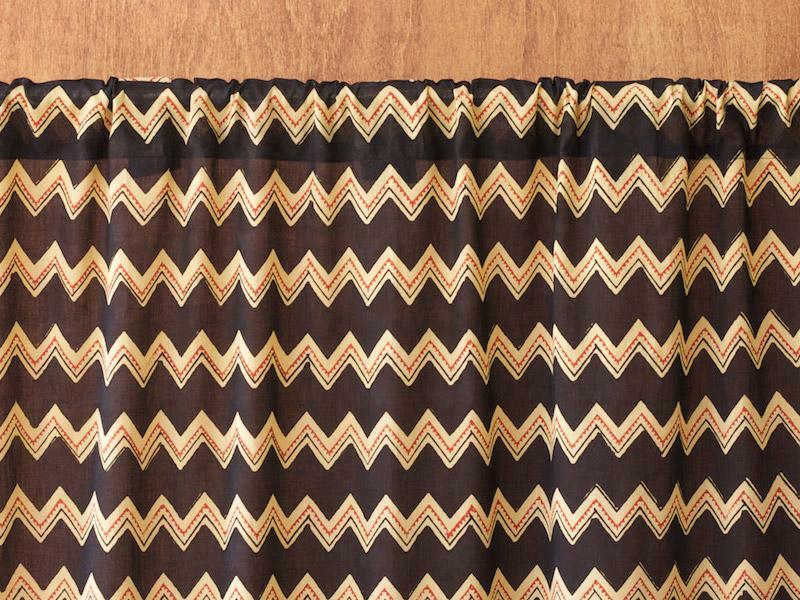 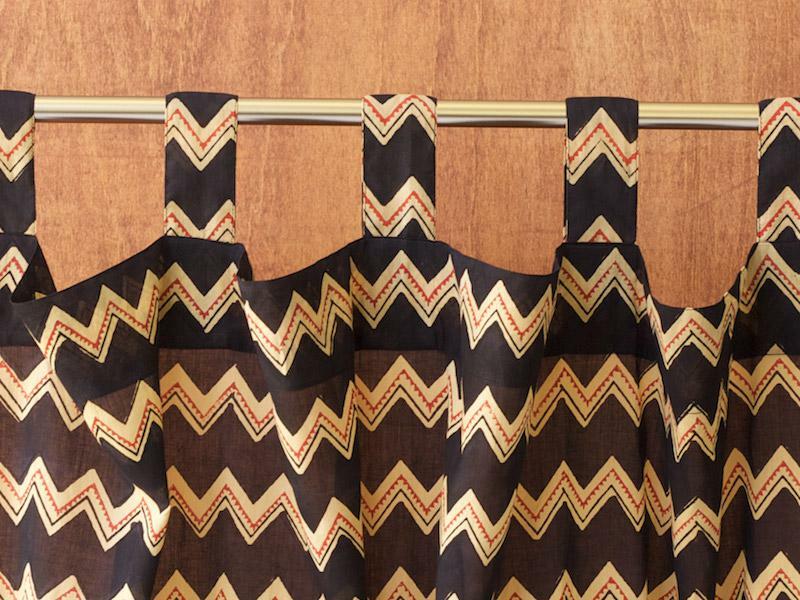 Each curtain comes with a color-matched tieback.